The area between Swaffham and Downham Market is strangely remote, and the villages are connected by narrow lanes which meander pleasingly, as if they are not sure where they are heading for. The villages have curious, ancient names, and these were ancient parishes, with many of the churches now abandoned and in ruins. 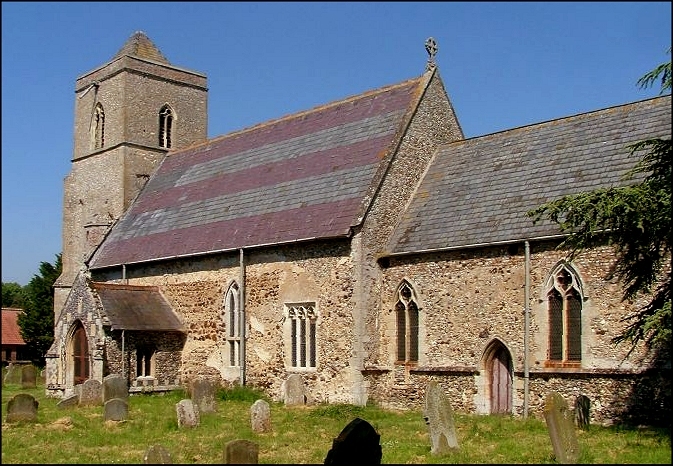 The three neighbouring villages of Barton Bendish, Beachamwell and Cockley Cley once shared nine churches between them. This is usually a sign of early and intensive habitation, with tiny manors becoming parishes early. In the 8th and 9th centuries, this was probably the most heavily populated area of England. 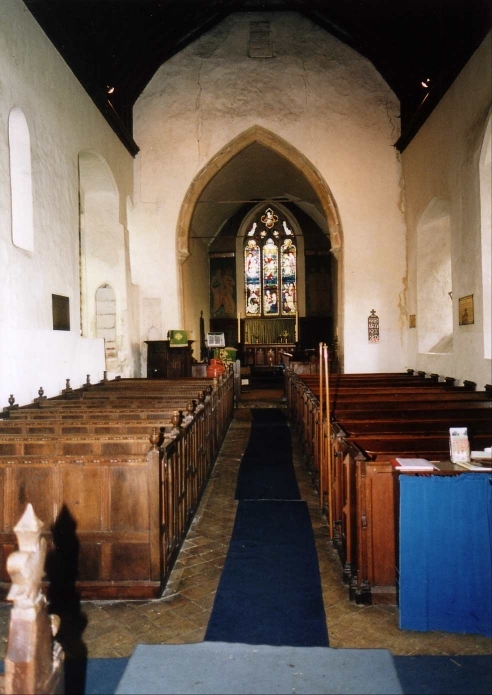 St Andrew is the last surviving parish church of Barton Bendish - or, at least, I assume it to still be in use. You couldn't have told this from looking at it on the day we came. 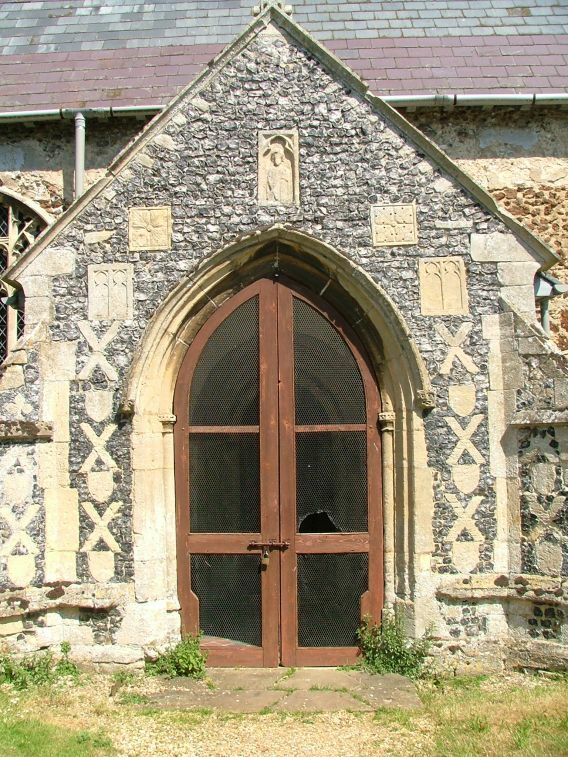 Unusually in this part of Norfolk, the porch gates were padlocked, and there was no keyholder notice. There was a wire grill on the gates, but this had been peeled back as if by someone attempting entry, and several of the windows were broken. 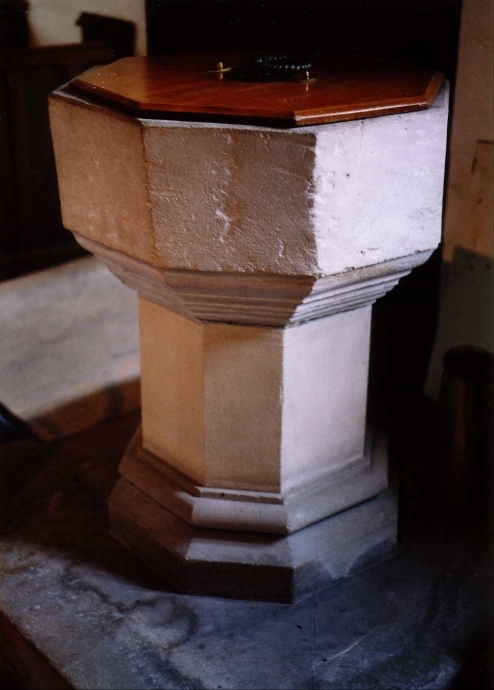 This was something of a surprise, because we had just come from the village's other church, St Mary, now in the care of the Churches Conservation Trust. This had been bright and tidy, and obviously well-loved - and, what was more, we had found it open. Ironic, considering that it is the redundant church in the village. The third church, All Saints, was demolished 250 years ago. 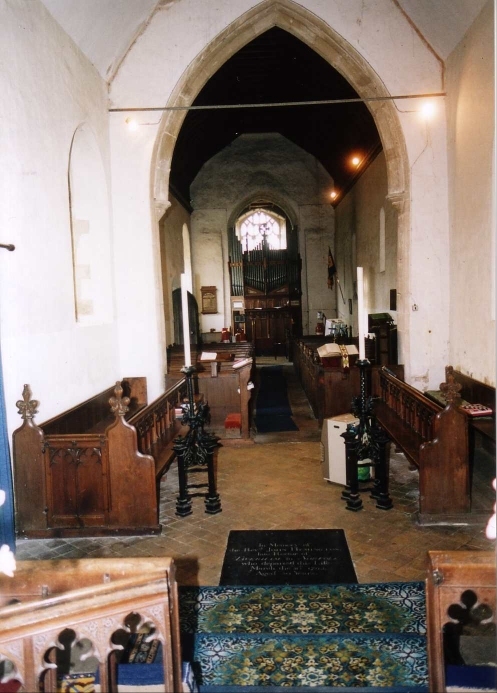 I was with Peter Stephens, who had been inside St Andrew a few years previously, and had certainly found it a working church then. We went and tried the house where he remembered getting the key, but there was no answer. 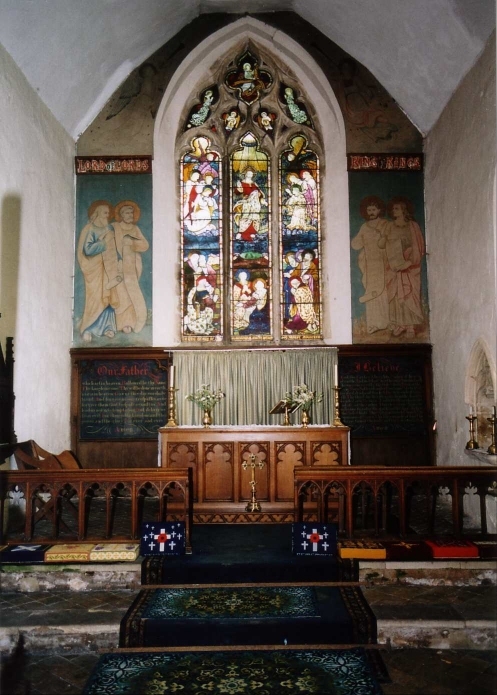 Fortunately, he had taken some nice images of the interior on his previous visit, and you can see them on this page. I had to make do with the outside. 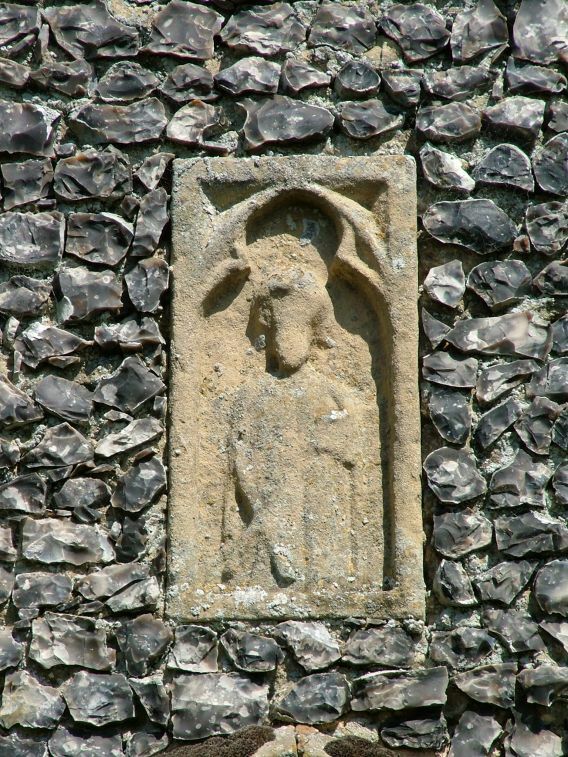 St Andrew is bigger than St Mary, and near to the centre of the village, which is probably the reason it was kept on. 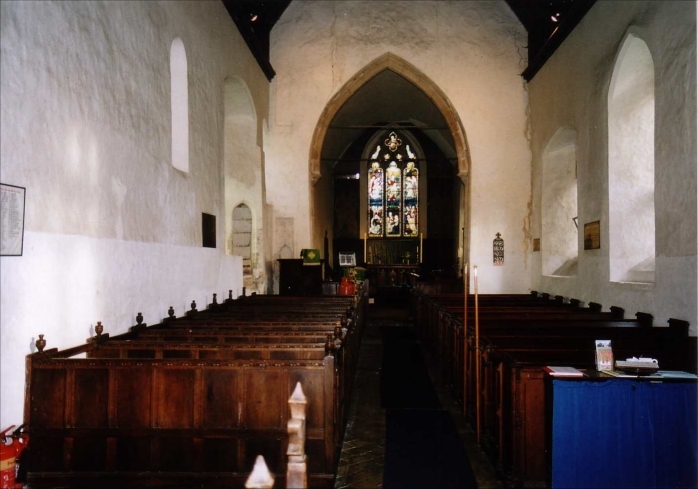 It is essentially a 14th century rebuilding of a Norman church, with some later Perpendicular elaborations, but there are no aisles and no clerestory - this was not a wealthy area in the years after the Black Death. The roof is rather stark, but there is a nice jumble of window tracery from all periods. The star of the show is the porch. 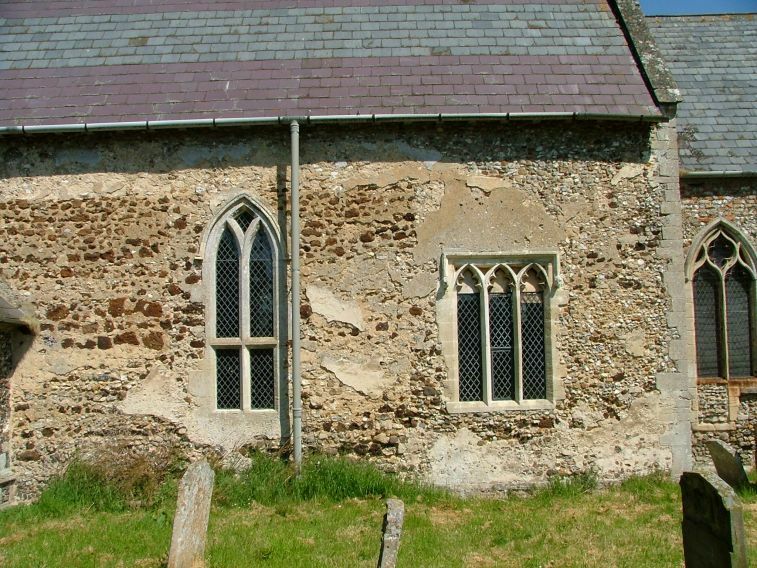 There's no doubt about what the medieval dedication of this church was. The stone relief of St Andrew bearing his saltire cross still survives, and there are more saltire crosses in the flushwork. It is a fine piece. But what is beyond it, I wonder? 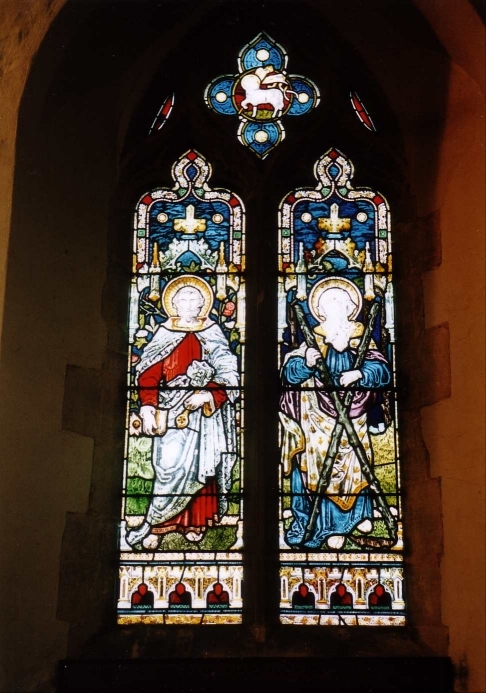 I hope that someone will write and tell me that St Andrew is still well-loved and well-used.